While working on my pelican painting, I had another project come up. Here is a sneak peek of the work in progress- more will be revealed soon. 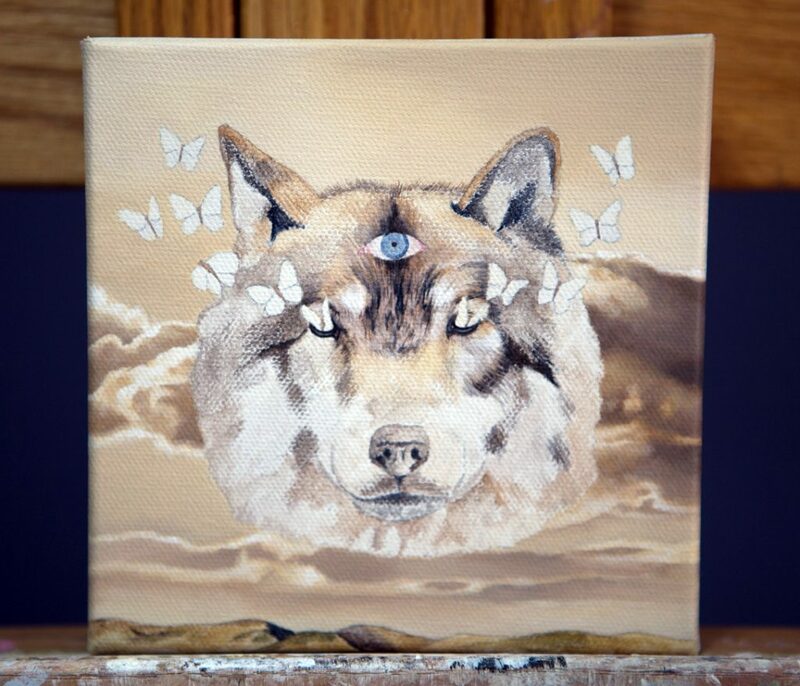 It is an acrylic on canvas, 6″ wide by 6″ high. In the meantime, check out more paintings from this series here: https://amyguidry.com/gallery.html. I’ve made some more progress on my latest painting. I’m in the home stretch on this one. At 10″ wide by 20″ high, this is a large size given all the detail work (and that yet to be done!). It’s coming along slowly but surely. 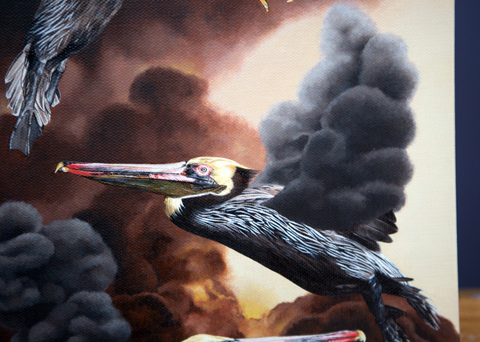 This is a close-up of one of the pelicans I recently finished. I’ll be revealing the entire finished piece soon.